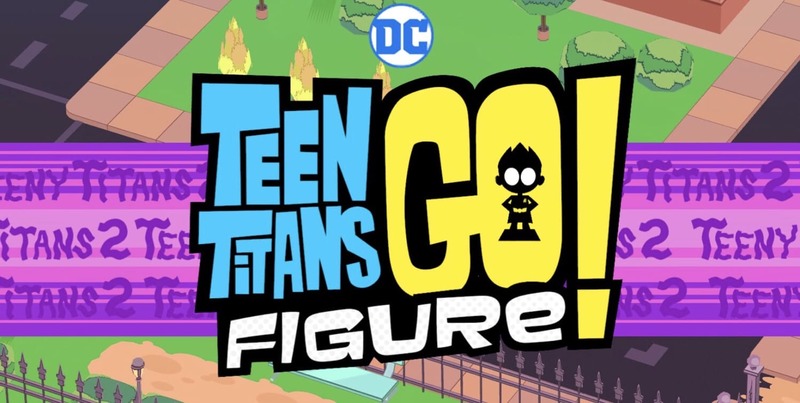 The sequel to Teeny Titans GO! just released and some players might be wondering how to unlock the two bonus figures you get for having played the original. So in this guide I’ll show you how. First off, if you were relying on iCloud for your game save and when you reinstalled the original game this past week your save was gone…it might still be there! A recent update removed iCloud but if your save file is still in the cloud, the next update can pull from it. I just got mine back by installing the latest version of the game. 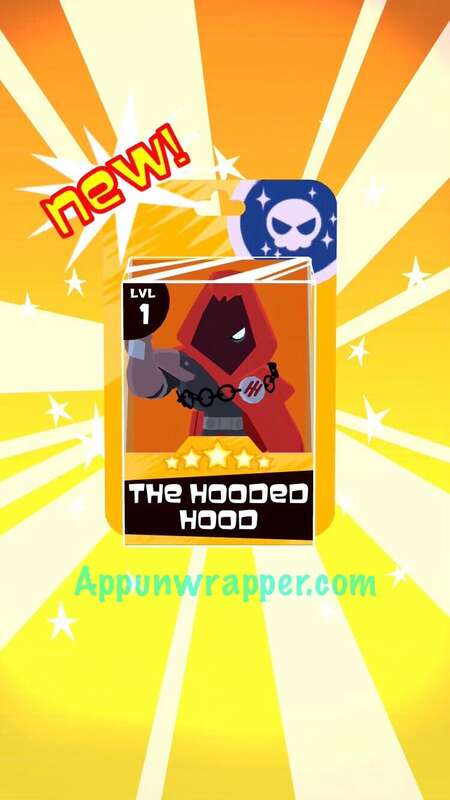 You don’t need to have completed the first game to get he Hooded Hood figure. 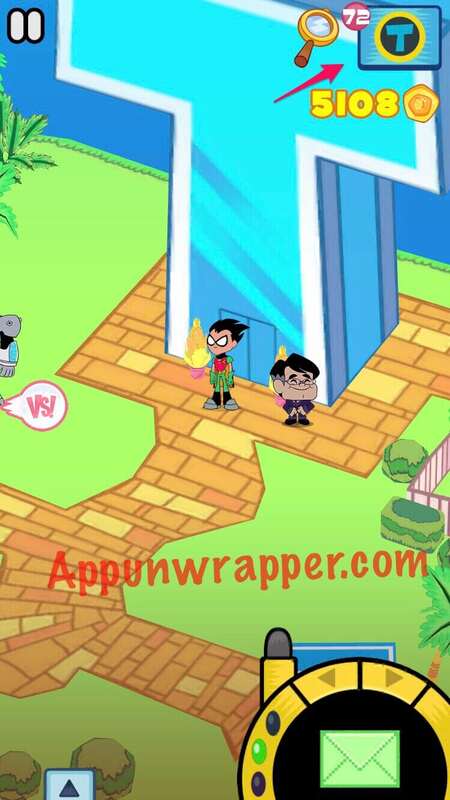 Just go to Titans Tower and press the little icon in the lower left corner for Teeny Titans 2. When you first boot up the game, it will even tell you what to do. So go to Titans Tower either by tapping the big T in the upper right corner of your screen or by physically going there on the map. 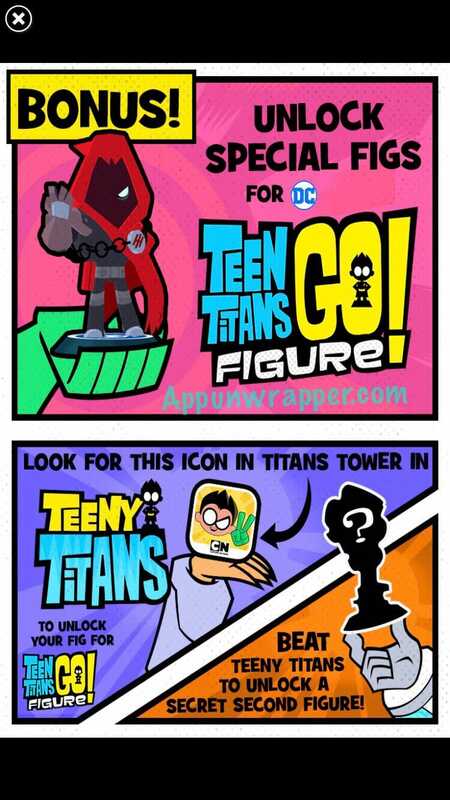 Now, tap on the Teen Titans GO Figure! icon in the lower left corner. 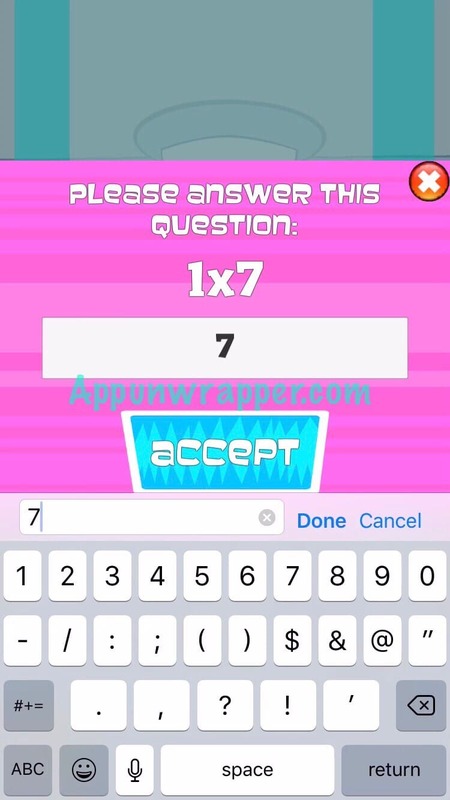 For some reason, it then asks you to prove you’re human by answering a basic math problem. 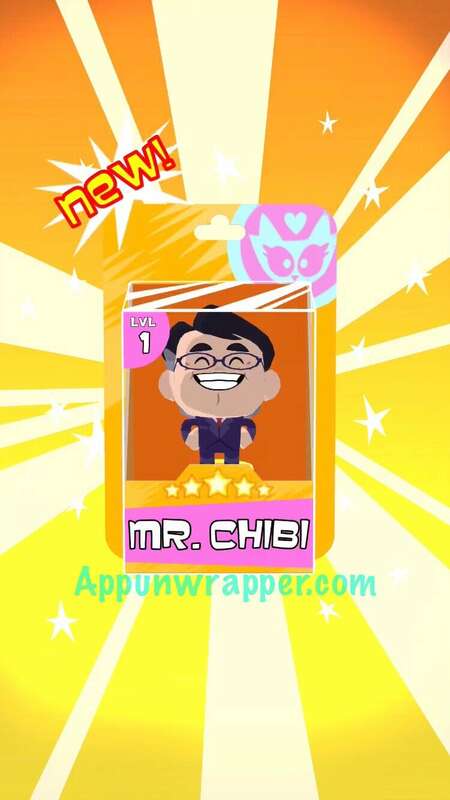 Next, it will let you choose Hooded Hood or Mr. Chibi if you completed the first game. 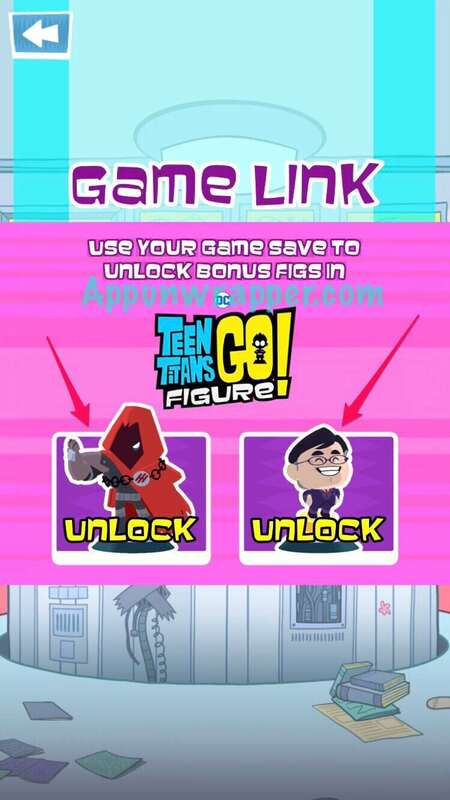 Whichever you tap on, it will open Teeny Titans 2 and give you that figure. Then just go back to the original Teeny Titans and choose the other. Now you have both the Hooded Hood and Mr. Chibi in Teen Titans GO Figure! And make sure to check out my other Teen Titans GO Figure! guides.